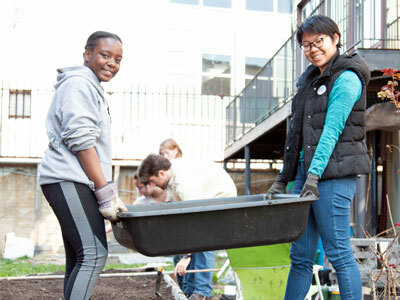 On a chilly spring afternoon, a group of students gathered at Fordham College at Rose Hill to manage garden weeds, rake leaves, sift compost, plant seeds, and water plots in St. Rose’s Garden. 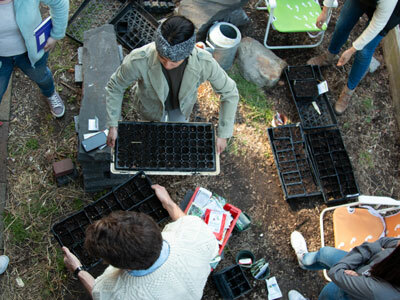 The April 20 garden effort was part of a series of events held from April 13 to April 22 that was organized by the Students for Environmental Awareness and Justice (SEAJ) in honor of Earth Day. A global event that is observed annually on April 22, Earth Day is a call to action for communities around the work to protect the environment. In celebration of Earth Day, students helped with the upkeep of St. Rose’s Garden. Through activities like composting, which recycles food scraps and decomposed organic material, Perez said Fordham students are also learning how to eliminate waste and promote plant growth in St. Rose’s Garden. Gabelli School junior Michael McCarty removes weeds from a garden bed. 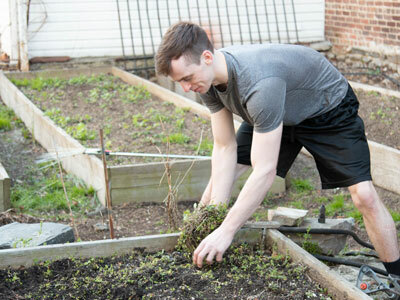 One of the reasons Michael McCarty, a junior studying finance at the Gabelli School of Business, decided to participate in the gardening event was because it allowed him to gain hands-on experience in the garden. “We’re preparing [garden]beds that used to be in the middle of nowhere,” he said. 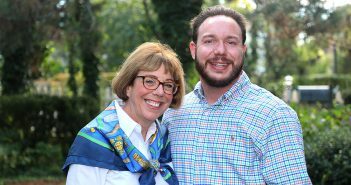 St. Rose’s Garden was established in 2012 by Jason Aloisio, GSAS ’16. Based on two back lots behind Faculty Memorial Hall, the garden serves as a living laboratory for the University community. Since it was founded, student volunteers have harvested a variety of organic fruits and vegetables, including watermelon, tomatoes, and kale. “We have the greenhouse set up and we’re out here putting in the effort,” he said. SEAJ organized the Earth Day programming to raise awareness about how human activities can harm the environment and what students can do to help. 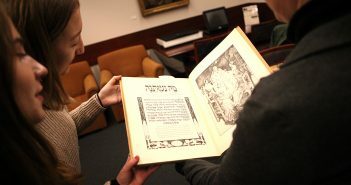 Events included a sustainable flea market on campus; a clean-up of Pelham Bay Park; an environmental fair on Edwards Parade; a sustainable art event; and a screening of the 2014 documentary, Mission Blue, by oceanographer Sylvia Earle.